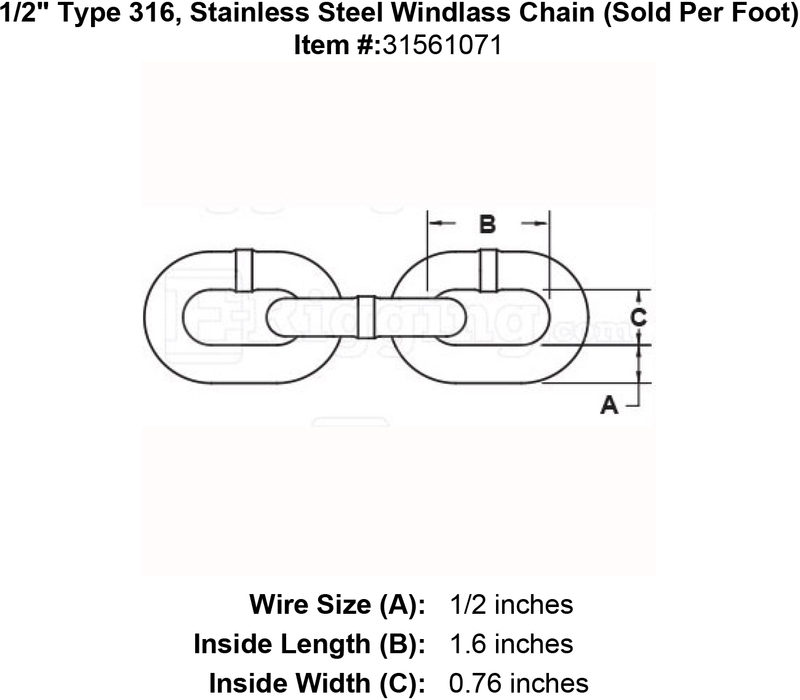 Stainless Steel High Test (G4) ISO Windlass Chain, Type 316. Size 1/2". Working Load Limit (WLL) : 6500 lbs. Shipping Note The Max Length Shippable by UPS is 48 ft. Longer lengths or more quantity will have to be shipped via LTL freight, or cut into smaller lengths. 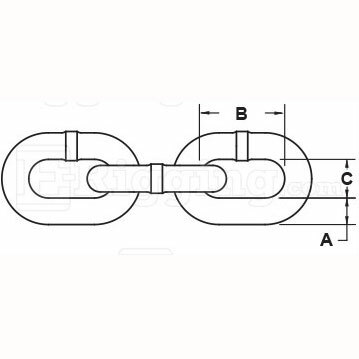 1/2" Type 316 stainless steel anchor High Test (G4) ISO windlass chain. Type 316 stainless steel assures greatest corrosion protection. Imported. Design factor is 4:1. Working load limit: 6500 lbs. Not To Be Used For Overhead Lifting. Inside width of link is: 0.76". 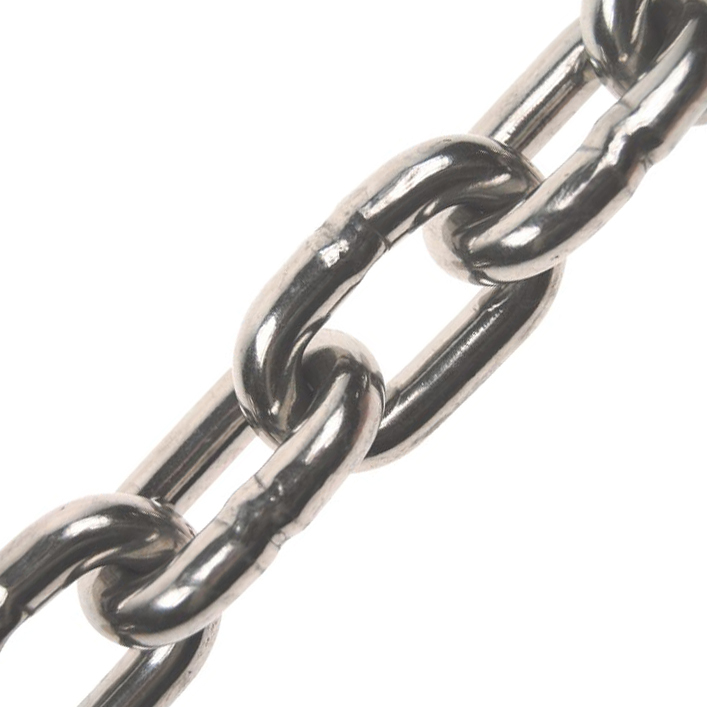 Inside length of link is: 1.6". Weight per foot: 2.5 lbs. See reference chart to match your windlass gypsy with the correct chain size. Related products are ACCO ISO Windlass Chain and BBB Chain.